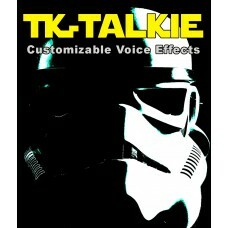 TK-Talkie has the features to take your costume to the next level! You've spent a lot of time (and money) perfecting your costume...now it's time to add the finishing touch with a sound system that adds another level of authenticity. 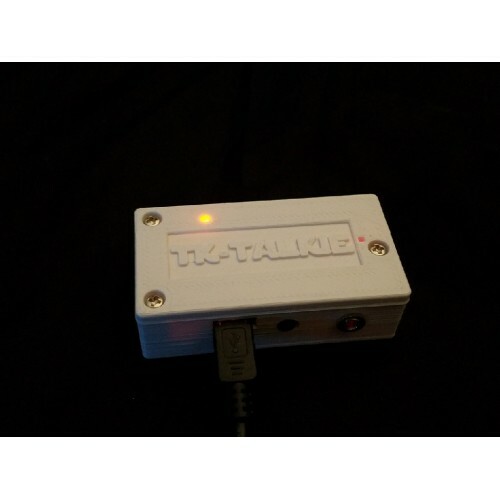 TK-Talkie is small, easy-to-use and highly customizable. A pre-loaded Micro SD Card with sounds, sample profiles and effects! 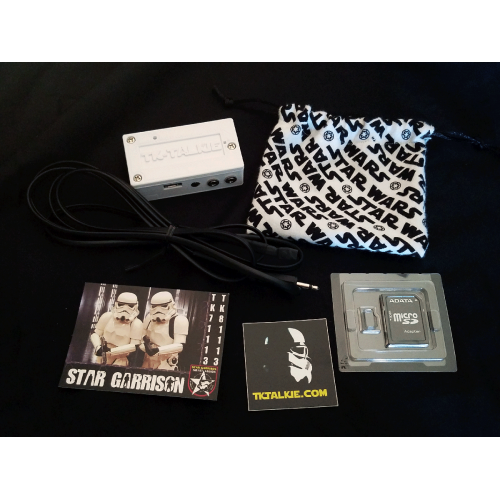 Please see the TK-Talkie Quickstart Guide for a list of other items you may need for your TKTalkie. Which TK-Talkie is right for you? 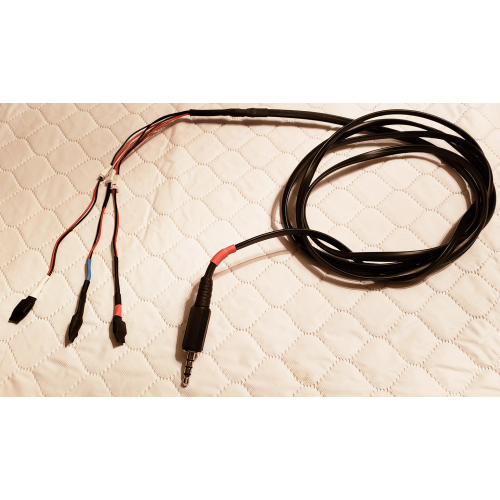 We offer several models of TK-Talkie so you can get the features you want. 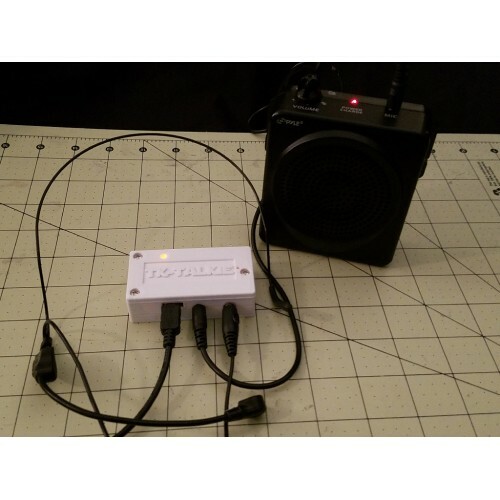 Each TK-Talkie is throughly tested and must pass our rigorous standards before it is shipped! TKTalkie is a customizable voice effects kit that is perfect for emulating that classic "Stormtrooper sound", complete with comm clicks and pops as heard in the movies! 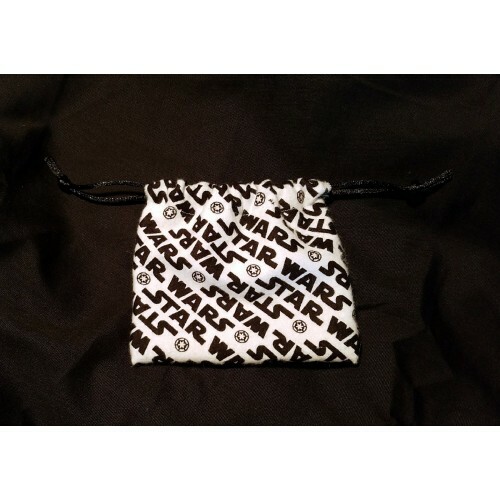 It is highly customizable so that it can be used with your different costumes. You can modify settings to create the sound that's perfect for you! Access quick functions such as mute/un-mute, turn off background loop, turn off voice effects. Program individual buttons on a sound glove to perform different operations. Create different customized settings files. Voice activation level - The level your voice must reach for processing to begin. Voice cutoff level - The level your voice must reach to processing to stop and effects (clicks, static burst) added. Silence time - The amount of time to wait after you stop talking before effects are applied. 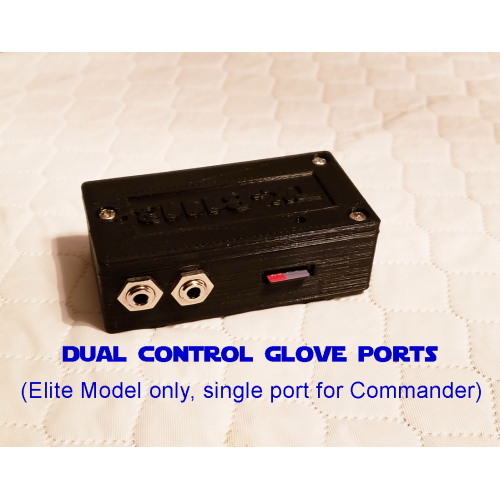 Program up to two (2) function per control glove button including triggering sounds, sleep, wake, mute, un-mute, volume control and more! NOTE: BLE (bluetooth), PTT button and pre-loaded SD card are included. Microphone and speaker are not included. 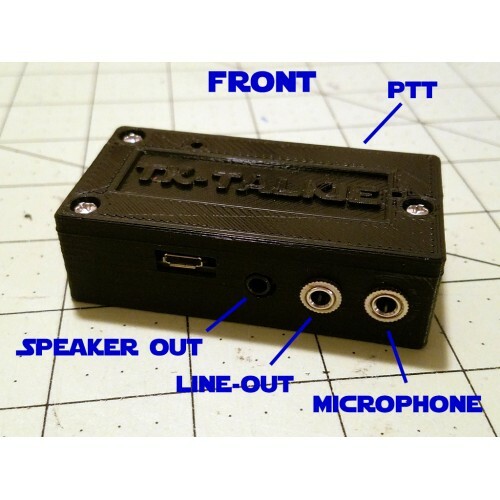 Each TK-Talkie is produced when ordered. 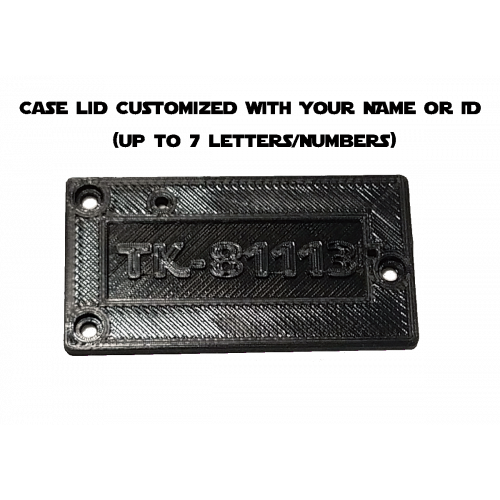 Customize your TK-Talkie when you order. BLE (Bluetooth Low Energy) The built-in BLE allows your TK-Talkie to communicate with the iOS/Android compatible mobile app. 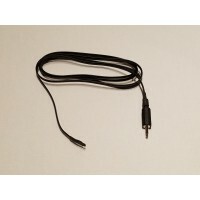 Micro USB Used to power the TK-Talkie (5V, 1Amp max) and also for serial communications. Please Note:- Each TK-Talkie is made to order- Current production lead time is 10-14 daysTK-Talkie h.. The PTT (Push-to-Talk) button is an optional accessory and allows you to use PTT mode on your TKTalk..